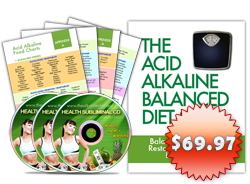 If you want to gain the optimal health benefits of alkaline diet, you have to consume at least 80% alkaline-producing foods, while the remaining 20% are acid-producing foods in your daily diet. It’s been reiterated many times how certain acidic foods can produce poison or toxic materials in our internal environment that we need to eliminate properly. Otherwise, our cells may have become sick and die. Therefore, as our body secretes fluids, the blood is the most important; we have to maintain a state of balance in our pH level. In a range of 0-14, 7 as the neutral, we have to maintain at least 7.4 blood pH level which is slightly alkaline. Remember that we have to make it constant or we can develop various illnesses leading to serious health conditions. Nonetheless, it is sad that most of the populations are still unaware about the significance of applying the proper balanced diet. One of the problems you maybe having is how to classify food as to whether it is acid-forming or alkaline-forming. In order to fine-tune your optimal diet, you will need to refine your classifications, but this time we will just focus on acidifying foods. How to Classify Acid-Forming Foods? 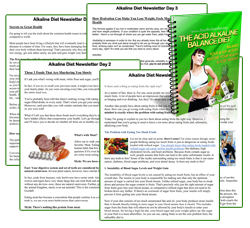 It is worth taking a note that every food we ingest is either acid or alkaline producers. In fact, all natural food contains those elements. It is the inorganic matter such as phosphorus, sulphur, potassium, magnesium, calcium and sodium which actually determine the alkalinity and acidity of our body fluids. Generally, high protein foods such as animal products and most grains are high in acid-forming elements. 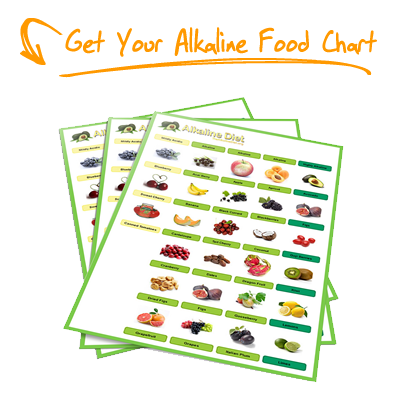 Most fruits and vegetables, on the other hand, are rich in alkaline-producing elements. Over consumption of proteins, fats, sugars, milled white rice, processed foods, chemically added with preservatives, and synthetic drugs contribute to the acidity of our body system. Now that we know how to classify acid-forming foods, in general, let us be more specific to different types of foods so that you will have the better grasp what makes a food an acid-forming, or what makes it less acidifying. If you think that all fruits have this alkalizing effect, think twice because not all fresh fruits are able to metabolize acids. Remember that a fruit’s acidifying properties are actually depends on how ripe it is. Meaning to say, the riper the fruit is, the less acid it contains. Premature harvesting may never reaches the full ripeness of the fruit and the natural ripening of the produce has reduction in their acid content. Cooking fruits do not lessen its acidity. Another thing, when you slice or shred the fruit, it makes more alkaline as the air allows its acid content to oxidize. Likewise, remember that eating fruits with cereals is acidic because most of the grains are producer of acid toxins. Cranberries, prunes, plums, rhubarb, and pomegranates are considered acid-forming fruits. All vegetables are alkalizing, EXCEPT for tomatoes and eggplants, and that is quite easy to remember. Nevertheless, there are some vegetables which are classified as slightly alkaline such as sulfurous vegetables (broccoli, radishes, onions, peppers, Brussels sprouts, etc). Although these vegetables can restore minerals to a person suffering from acidification, these vegetables contain sulfur which is considered an acid. There are people who are sensitive to the sulfur which irritates the mucous membrane of their digestive system. Therefore, they are not recommended to take large quantity of those mentioned vegetables, or consult a doctor to know which exact vegetables have irritating effect on their digestion process. If you want to get the full nutrients in vegetables, it is best eaten in raw because cooking destroys the complete vitamins you can get from raw vegetables. The cooking forms of steamed, roasted and braised also restore an acid-alkaline balance of vegetables. Boiling may not a good idea as it draws the minerals from the vegetables as you throw the water along with valuable nutrients after use. When you put a dressing, make sure that the content will not destroy the alkalizing quality of your vegetables. Another reminder, if you put a lemon juice, it can be acidifying to some people if they cannot metabolize the acids properly. 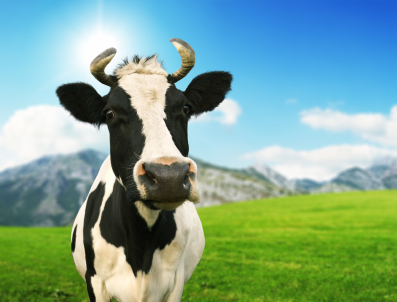 Whole milk becomes acid-forming when it is sterilized, homogenized, ultra-pasteurized, and processed as it becomes hard to metabolize the acid well. Therefore, whole human milk is alkaline-forming that is why babies can curdle the milk in their stomach, and we are losing that digestive capacity as we grow older. The more whey and the older milks are, the more they become more acidic. Cheese has strong acid because of the fat portion, the age, including how strong it is. Nevertheless, cottage cheese and unripe cheese is slightly alkaline. Fresh butter, on the other hand, if eaten in raw and moderation is slightly alkalizing. However, please take note that after butter is subjected to heat, it becomes acidic already. Lastly, egg yolk is alkalizing if eaten alone, but not the whole egg as it is slightly acidifying. Most of the health buffs are eating cereal grains for their breakfast. There ways to prepare your cereal grains, like it can be eaten as whole, ground, flakes, or bread. Crunchy cereal is less acidifying than those which are not. However, categorically, cereals as by-products are considered acidifying. It only becomes acid-forming due to refinement such as white rice. White bread is more acid-forming than dark grains or the whole grains. Include on the list of acidifying grains are the yeast bread as it makes dough rise which makes it acid. When you grill or toast your bread, it is less acidifying than freshly baked bread. When it comes to pasta, tomato made it more acidifying. The less acidifying could be the pasta made from whole grain served in white sauce and less grated cheese. 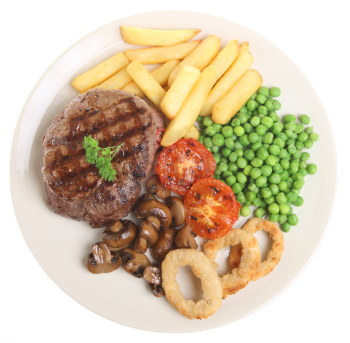 Red meat contains great amount of toxins, fat, and blood as to compare with white meat. Even if both are acid-forming foods, white meat is lesser culprit. Shrimps are more acidifying than fish. Nonetheless, regardless of what meat you will include in your meal, those are still acid-producers. Liver, oysters, organ meat are classified low acid; fish chicken, lamb and turkey are acid; and pork, beef, veal, shellfish, sardines, and canned tuna are in the classification of high acid. Peanuts, legumes, pecans, cashews, etc. contain less water and mineral salts and that is the reason why legumes some nuts are considered an acid-forming food. Legumes are also high in purines and for our body to eliminate the toxins, these have to be transformed into uric acid in order to metabolize the acid properly. In fact, soybeans have many purines than pork. Anyway, purines are substances found in body cells and all foods, but there are foods which contain high concentrated amounts of purines causing the urinary tract infection or kidney problems. Kidney problems normally start with excessive accumulation of uric acid, and purines are chemically formed in uric acid. Aside from legumes, high-protein foods such as organ meats, yeast, and sea foods are high purine foods. Coffee, chocolate drinks and tea are considered acid-forming beverages due to its high purine content. Commercial sodas and other drinks are considered very acidifying due to its high sugar content. Vegetable juices and alkaline water are the best replacement for these drinks. Leaving you the final note, the principles are very clear- eat more vegetables and fruits in a daily basis and cut the dairy products, grains, meat and fish, dairy products, processed foods, etc. In short, your typical Western diet is too acidic, and before you realize that it is indeed harmful to your health, you are already paying the high price of wrong diet. Although it is never too late to change your diet, it is your determination and discipline that would still rule your life. Does An Acidic Body Cause You Health Problems?